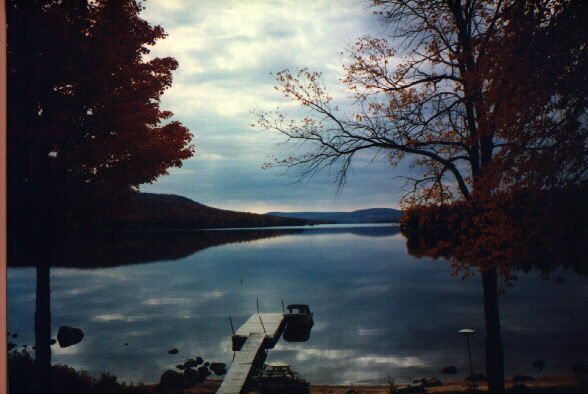 Camper's Village Campground is located in Cranberry Lake, a little hamlet on the western slopes of the Adirondack Mountains. A gateway to one of the last remaining true wilderness areas of New York. The village is located on Route 3, a direct route across the northern part of the Adirondack Park, connecting the New York State Northway on the east with Interstate Route 81 on the west, and north to the bridges of Canada. The lake itself, with it's miles of lovely natural shoreline, most of which is State land, is wild and unspoiled. It is indeed the doorway to some of the most scenic wilderness areas. 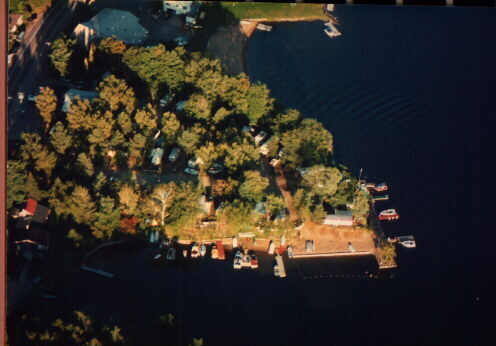 In Cranberry Lake you will find the unspoiled beauty of nature combined with a campground that meets your RV needs. On site luxury camper rentals are available;Cranberry Lake Rentals. Trails will lead you to Sliding Rock falls, Darning Needle Point, Cat Mountain, Clear Pond and the top of Bear Mountain with it's view of the lake and surrounding forests. If you like your view of nature within a more comfortable and easier fashion, then take a boat out on the lake and see the islands, coves and wilderness along the miles of shore. Cast your line out for the fish that abound in the lake. Small Mouth Bass are particularly abundant the last week of June. Sit on the shore by your camp at dusk, a small crackling fire before you, and watch the sunset. You will come to know and love the peace and serenity that can be your vacation on the shores of Cranberry Lake. If you don't want to stay in camp and want to see more of the vast forests and the mountains, be ACTIVE! There are 46 state authorized campsites available for free on a first come first serve basis For there is more to see and do than you have days or strength to do them in, it is all here - only a short drive away. To the northwest are the Thousand Islands of Alexandria Bay, due north is the St. Lawrence Seaway, where you can watch the ships go through the locks, or invest some time at the new Akwesasne Casino. For a little longer trip and a delight to children or the young at heart, see the area attractions to the east - Santa's Workshop, The North Pole , Ausable Chasm, Lake Placid and the Olympic Village and Whiteface Mountain. Or south to Long Lake's Adirondack Museum or to New York's largest Water Theme park, Water Safari, at the Enchanted Forest in Old Forge. From points west on Interstate 81, take exit 45 (Route 3) at Watertown. Take Route 3 to Cranberry Lake Village. (Alternately to avoid Watertown City Traffic, take exit 48 onto Route 342 East to Route 3, turn left on Route 3, follow to Cranberry Lake) . From points north, take Route 56 South from Potsdam. At intersection with Route 3 turn right (west) and follow Route 3 to Cranberry Lake Village.